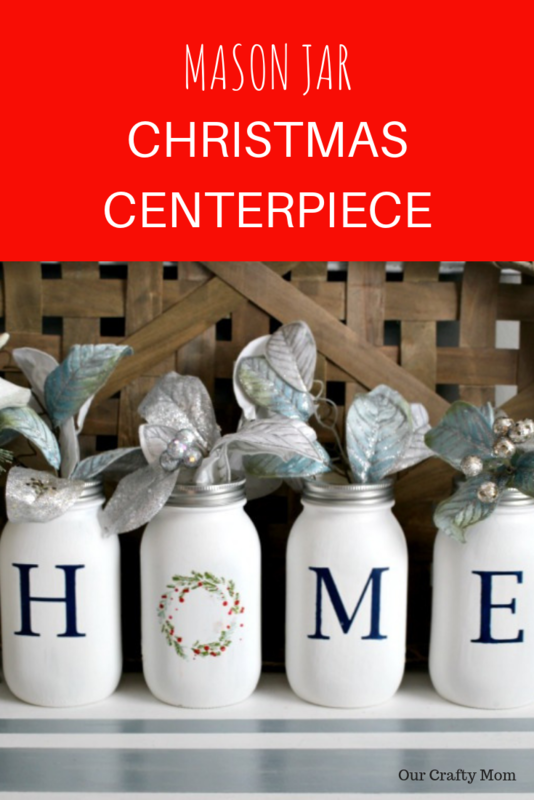 Let me show you how to Make A Pretty Mason Jar Home Centerpiece perfect for your kitchen or dining room table. You can even use it to line a window sill like I will show you here. 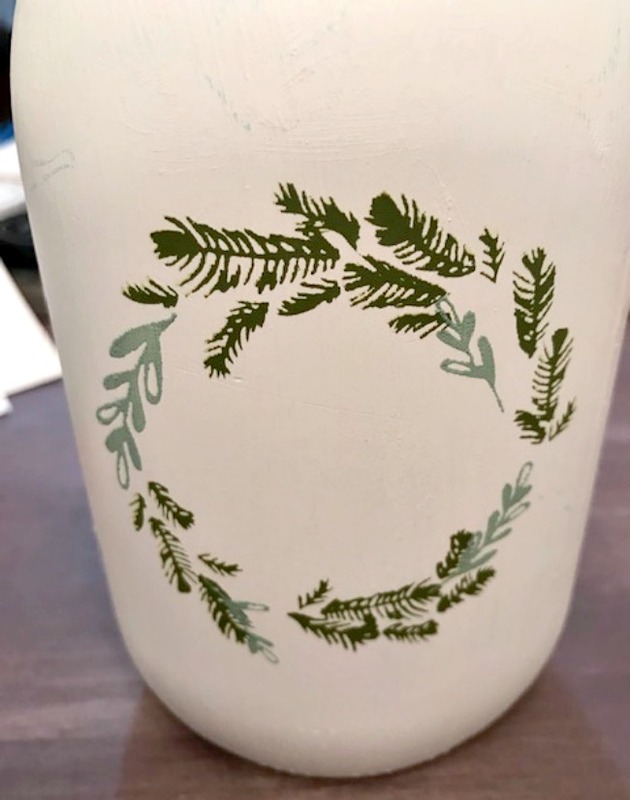 Home And Wreath Transfer Available December 1st! 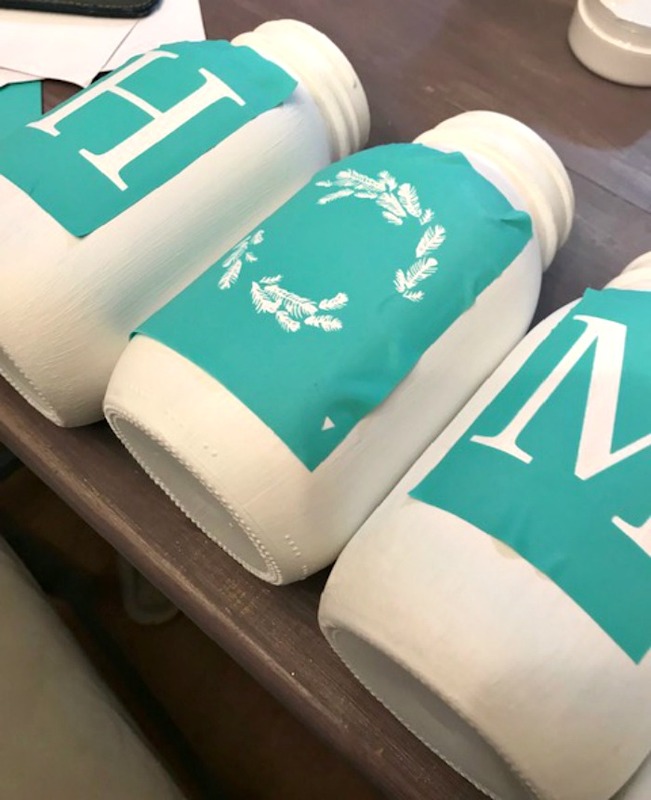 Start by painting the mason jars with two coats of white chalk paint. 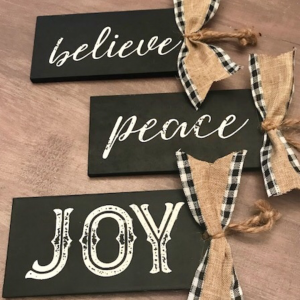 I love DecoArt’s brand in Everlasting and tend to use that on a lot of my craft projects. It has great coverage and is very reasonable. Let the paint dry in between coats. I’m kind of addicted to Chalk Couture, as you can tell but all the fun stuff I’ve been sharing. But, in my defense I am making lots of Christmas presents! If you have tried it before, then you understand what I’m talking about. If you haven’t tried it-what are you waiting for? You can check out all the transfers and chalk products here. 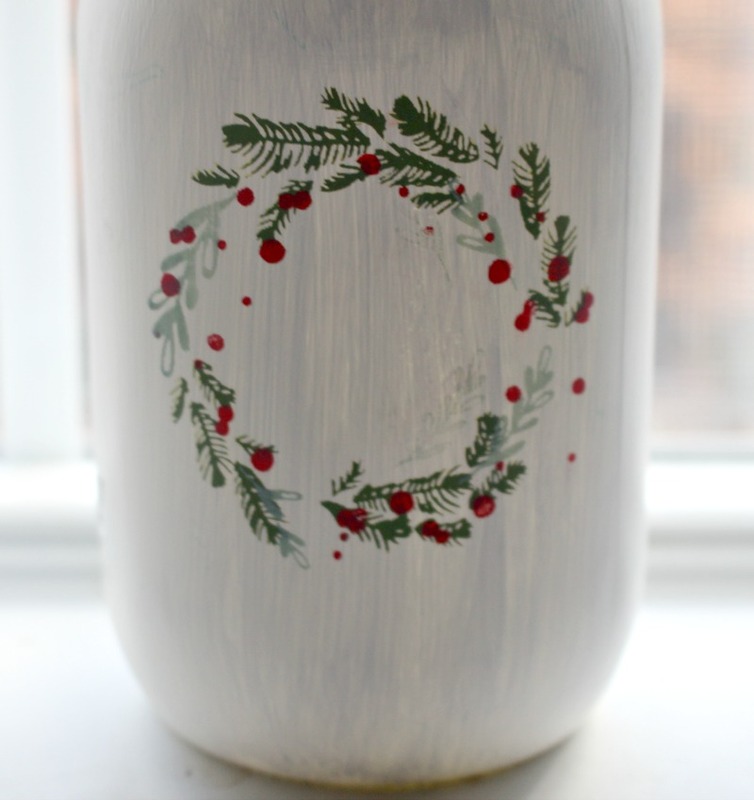 The O in the Home is a pretty Christmas wreath that you do in 3 layers, adding pretty red berries last. The berries really make it pop! Be sure to let the chalk dry in between layers. 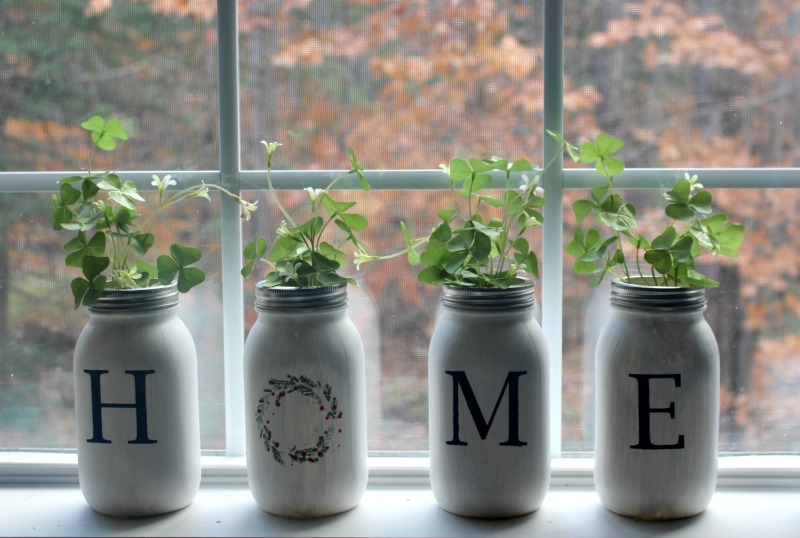 You can never go wrong decorating with mason jars! They are one of those things that has a million uses. 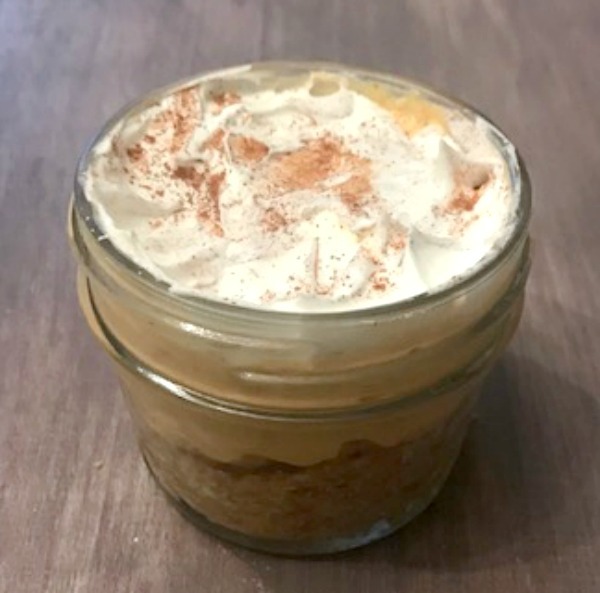 Did you see the individual pumpkin creme pies I shared here? 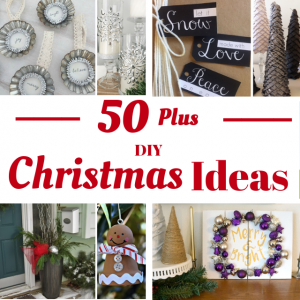 They are served in mini mason jars and are a great treat for Christmas too! 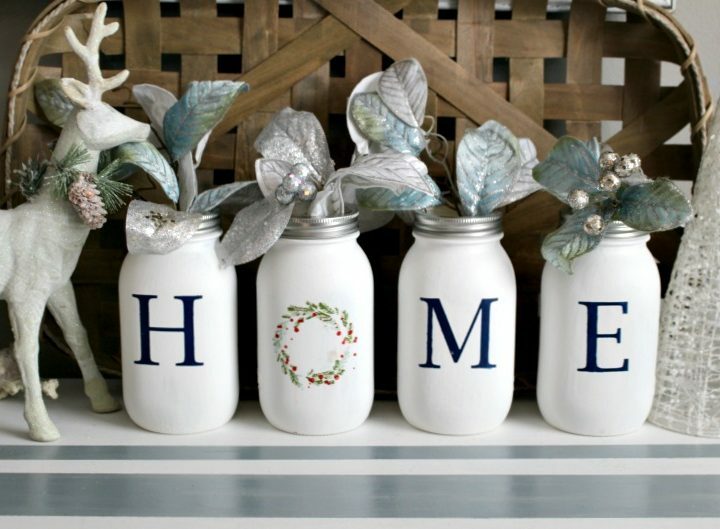 I hope you enjoyed this mason jar home centerpiece. If so, please click the photo below to save it for later! This is beautiful, I love the rustic look of the jars. This chalk couture looks like a lot of fun. These turned out so nice. I love them with the greenery by the window. So pretty! 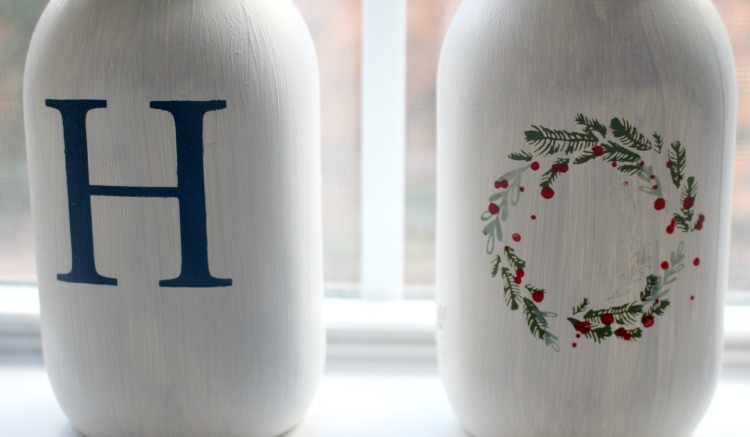 Wow absolutely love these jars! I will look forward to the release date for the transfer. Great share!